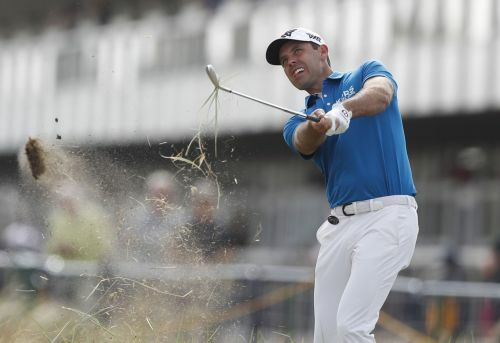 JOHANNESBURG (AP) — Charl Schwartzel holed out from the fairway for an eagle on the 17th on his way to an 8-under 63 and a one-shot lead after the second round of the South African Open on Friday. Oosthuizen, ahead by a shot after the first round, dropped into a tie for third at 10 under with Kurt Kitayama (69) and Zander Lombard (68). Kitayama has made a fabulous start to his time on the European Tour, winning last weekend at the Mauritius Open after only just coming through qualifying school. He's in contention for a second straight win. "I've driven the ball well," the 34-year-old South African said. "It's probably the most consistent I've driven the ball and I've felt it in practice, I've been doing the same. It's just nice to do it in a tournament now." Schwartzel last won a tournament in 2016 but said he feels he's recently been playing better than he has in years, only the results haven't been there. "It's just this little thing called golf," he said. "Trying to figure it out still." The tournament is being played on two layouts at Randpark: the Firethorn Course and the Bushwillow Course. Players had a round on each with the final 36 holes now at Firethorn.